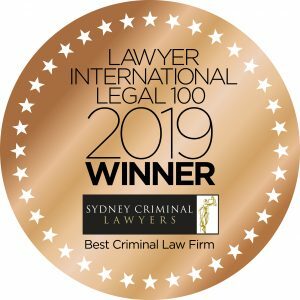 Sydney Criminal Lawyers® is Australia’s most awarded criminal law firm because we consistently deliver outstanding outcomes and provide an exceptional level of service to our clients. We have been recognised in a range of awards programs – from prestigious business awards with rigorous assessment processes such as the Telstra Business Awards and Small Business Champion Awards, to industry specific awards such as the Global Law Awards, Lawyers Weeekly Law Awards, Legal Elite Law Awards, Lawyer International Awards, ACQ5 Law Awards and LexisNexis Innovation Index which are decided by those within the legal profession. Watch an introduction to Sydney Criminal Lawyers. The Global Law Experts annual awards celebrate excellence, innovation and performance across legal communities from around the world. The awards are designed to recognise the most deserving law firms and legal professionals across the globe, and winners are determined through a rigorous process of nomination, application and a multi-stage assessment. The award of Australian Criminal Law Firm of the Year is the organisation's most prestigious in the field of criminal law in this country. 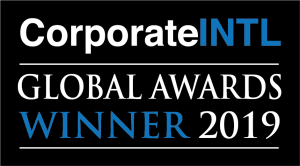 Corporate INTL is a respected network of over 1 million business leaders, lawyers and advisers worldwide, connected through a global internet network and the Corporate INTL magazine. The coveted Global Awards celebrate outstanding achievement in professional fields such as law, accountancy and consultancy. 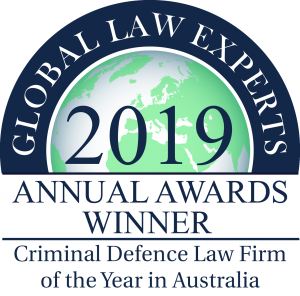 The award of 'Criminal Defence Firm of the Year in Australia' is the most sought-after and competitive in the the domestic field of criminal law. Candidates are put through a rigorous selection process involving a lengthy and involved application and multi-staged assessment, and the winner is ultimately selected after performance and achievements are subjected to careful analysis. The ACQ 5 Law Awards celebrate achievement, innovation and brilliance in the field of law. The nomination and assessment process rely not only on information provided by the candidates themselves, but a careful assessment process and all award winners are chosen by members of the legal profession. The award of Criminal Defence Law Firm of the Year is the most competitive and prestigious in the field of criminal law. The Corporate Insider Business Excellence Awards recognise organisations that demonstrate best practice in their given field. The law awards look at quality of service as demonstrated by case results, client testimonials, costs and overall excellence. The selection process goes through three main stages. The first is nomination, followed by an assessment process which narrows down the field into finalists, and a panel of experts including those in the relevant field then determine the ultimate winner. M & A Global is one of the world’s leading awards programs, covering 163 countries and attracting votes from the magazine’s 108,000 subscribers as well as industry leaders. Each nomination is subjected to a comprehensive assessment process, designed to separate the truly remarkable from their peers. Once finalists are selected, a panel of judges examines material submitted by the finalists and conducts its own research to select a winner. The comprehensive selection and judging process ensures all winners are truly at the cutting edge of their respective industries. The Lawyer International Global Awards recognises organisations and advisers that have performed to exceptional standards during the previous year. The awards utilise a rigorous judging process which not only considers over 40,000 votes received, but looks at many other factors including client testimonials on a range of platforms, industry reputation, citations and references by other sites and case results. But more than this, the organisation performs 'cold calls' on finalists which seek to determine speed and quality of client service, and flexibility to clients' situation. The organisation states, "The winners, quite simply, represent those firms and individuals that are instrumental to the businesses that engage them, thus ensuring a swift, positive outcome is always achieved, These firms and individuals continually go above and beyond, always providing a high degree of demonstrable evidence which is consistent with positive comments from both clients and peers... The Lawyer International Awards programs provide a benchmark of the very best of the best industry leaders, exemplary teams and distinguished organisations, based on the simple principles of veracity, accuracy and insight." Corporate Vision is an organisation dedicated to shining a spotlight on the brightest, best performing and most deserving companies and individuals from around the business world. The company is fiercely passionate about recognising outstanding achievement, game-changing innovation and stellar performance, and its awards are carefully tailored to provide detailed and in-depth analysis of the very best each market, industry, sector and region has to offer. Every award winner is chosen solely on merit, through an intense process of gathering votes gathered from its network of respected industry partners and the company's own rigorous in-house research, which looks at a range of metrics including client reviews,results record, reputation, complaints record and overall performance. The Finance Monthly Law Awards celebrate and recognise excellence from law firms and legal professionals who have consistently excelled in all aspects of their work and set new standards of client service. A lengthy process begins the previous year to determine these honourees. This comprises an online voting process, including personal nominations. After votes are compiled, the research team analyses individual and firm performance through information made available via client feedback, news reports and market data. The APAC Insider Awards brings to the fore those firms who, through their commitment, enthusiasm, expertise and willingness to do things differently, are rewriting their industry's rule book while achieving incredible results, both for their clients and themselves. Winners are decided upon via votes gathered from a network of respected industry partners and painstaking in-house research. Each award nominee is carefully examined, with a judging panel taking into account their performance over the past 12 months, their commitment to innovation, their methods and even their competition to ensure that only the most deserving firms are awarded a trophy. 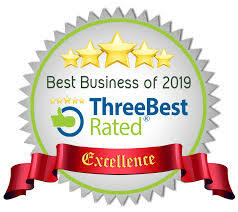 Three Best Rated applies a 50 point inspection to select the three leaders in a given trade or profession. The process looks at reputation, results, history, complaints, reviews, satisfaction, trust and cost in order to determine overall excellence. Since its creation in 1999, the Australian Small Business Champion Awards has become the most prestigious and comprehensive awards program dedicated to small businesses throughout the nation. The awards are described as "the pinnacle of business success. They recognise the values associated with successful small businesses. These values include service, commitment, leadership, endurance, courage, innovation, performance, persuasion and generosity." 1. Involvement in significant legal cases and legal activity, 2. Legal expertise and innovation, 3. Innovation in client care, 4. Size (value) of involvement within transactions, deals & cases, 5. Peer recognition and personal achievement, 6. Strategic thinking and planning, 7. Previous accolades and entries within the international legal guides, 8. Supporting material, covering statements and evidence supplied, 9. Amount of documented activity in the last 12 months when compared to industry peers, and 10. The number of votes that had been received. 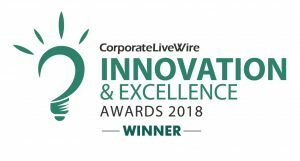 The Corporate Live Wire Awards "represent the pinnacle of business achievement, championing the best in their respective fields." 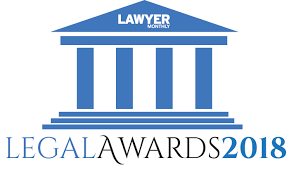 The assessment process for the law awards places a heavy emphasis on finding firms which set the standard in terms of client service including around-the-clock accessibility, client satisfaction as demonstrated by a range of metrics including publicly posted reviews and absence of complaints, quality of service delivery as evidence by case results, and the implementation of innovations which improve access to information about the law and to lawyers. Finance Monthly’s research team then collates the votes and examines all the nominations to compile a definitive list of industry leaders. As a result those celebrated represent a wide range of respected individuals and firms from all over the world. Finance Monthly’s awards process honours those at the top of their game as they continue to provide first class legal services. The AI Global Excellent Awards recognises businesses that have disrupted established industries through innovations that have benefited customers and the community as a whole. The award process covers three stages: nomination, comprehensive assessment which narrows the field to finalists, and a finals stage after which the winner for each field is announced. The APAC Insider Awards brings to the fore those firms who, through their commitment, enthusiasm, expertise and willingness to do things differently, are rewriting their industry's rule book while achieving incredible results, both for their clients and themselves. Winners are decided upon via votes gathered from a network of respected industry partners and painstaking in-house research. Each award nominee is carefully examined, with a judging panel taking into account their performance over the past 12 months, their commitment to innovation, their methods and even their competition to ensure that only the most deserving firms are awarded a trophy. The Finance Monthly CEO Awards celebrates the success, innovation and strategic vision of business leaders across global industries. The company’s research department identifies some of the most forward-thinking, hard-working and ambitious leaders in the corporate world today, from the legal to the finance sector. The final result is a special awards publication detailing leaders who have been instrumental in achieving their industry’s desired aims including exceptional quality and delivery of service, and being influential beyond their companies in the direction of their field, and thereby benefiting that field as a whole. 1. Assessment stage: For each category awarded a proprietary method of analysis ranks winners based on their domestic and international work. This ranking method produces a list of shortlisted firms, based on a very comprehensive set of criteria. 2. Judging stage: Once all votes have been received, an independent panel of judges reviews the votes within each category. The judges assess the following: (a) The strategic nature of work conducted, (b) The complexity of work conducted, (c) The scale of work conducted, (d) Whether the work conducted was done so in a speedy manner, and within budget, (e) Any ground-breaking or innovative processes used during completion of conducted work, (f) track record of results, and (g) track record of reviews and other forms of testimonials. The judges focus on the complexity and strategic significance of work conducted, as well as results and client satisfaction. The awards program provides a benchmark of the very best of the best industry leaders, exemplary team’s and distinguished organisations. The winners are decided upon via votes gathered from the organisation's network of respected industry partners and its own painstaking in-house research. Each award nominee is carefully examined, with a judging panel assessing performance over the past 12 months, the nominee's commitment to innovation, its methods and customer service to ensure that only the most deserving firms are awarded a coveted trophy. 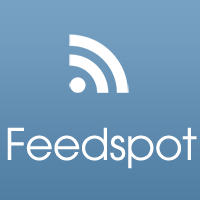 Feedspot is a world-leading, United States based company which selects the best blogs in various fields and lists them on its website. The Sydney Criminal Lawyers® blog is the only blog selected that is not from North America. The 2015 APAC Insider Legal Awards recognises law firms in the Asia-Pacific region which have achieved world-leading results in their area of legal specialisation. Candidates must demonstrate consistent high performance and class-leading outcomes in their field of law. Those results are scrutinised and performance is assessed against a large number of candidates in each category, and the successful candidate is recognised in the APAC Insider magazine. 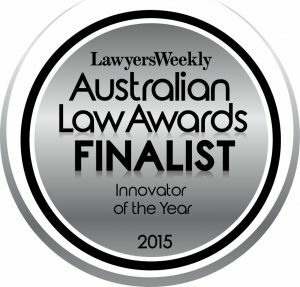 LexisNexis Legal Innovation Index seeks to provide national recognition to the most innovative law firms in Australia and New Zealand, through initiatives that deliver uniqueness and value to their clients and differentiate their organisation. 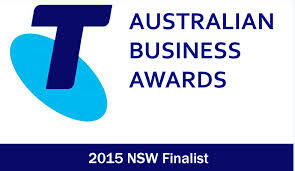 The Telstra Business Awards celebrates outstanding achievement in small and medium business. It is Australia premier business awards attracting thousands of applicants in each state and territory every year. 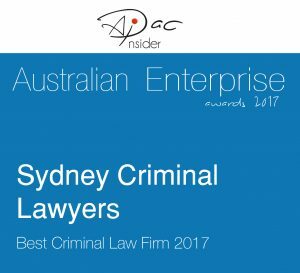 Sydney Criminal Lawyers was one of only 5 finalists in the small business category, and the only law firm in NSW to reach the final. The legal profession's leading magazine, Lawyers Weekly, is the authoritative source of independent news, analysis and opinion about the practice of law in Australia. The Australian Law Awards represent recognition from within the legal profession of exceptional achievement in the field of law. Only a small portion of lawyers in NSW are 'Accredited Specialists'. An Accredited Specialist is a lawyer with at-least 5 years of experience in a particular field of law who has been certified by the Law Society of NSW as an expert in the area. Only the very best lawyers are awarded Accredited Specialist certification. It is the Law Society’s assurance of quality, experience and expertise. 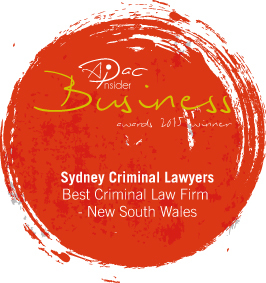 Sydney Criminal Lawyers® is spearheaded by Accredited Specialist Criminal Lawyers. Lawyers at Sydney Criminal Lawyers® are members of the Legal Aid Commission's General Criminal Law Panel, Indictable Criminal Law Panel and Serious and Complex Criminal Law Panel, in recognition of their experience and expertise in the field of criminal law. The Law Society of NSW is the body which accredits lawyers in our state. 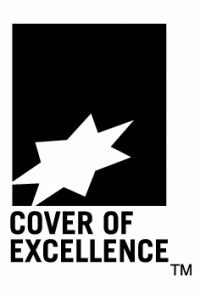 The Cover of Excellence is a scheme which bind law firms to monitor, enforce and improve the professional standards of lawyers and protect clients. Law firms must continually maintain excellence in professional standards including client service in order to display the logo.